150 talent, Grizzy, has been putting in work as of late, setting the levels high with regular releases and the coldest content. As he looks to make even more noise across the UK, he has secured a major link up which will most definitely have the fans gassed. 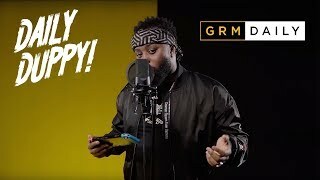 Grizzy has joined forces with UK icon, Kenny Allstar, to feature on his popular series Mad About Bars. This one dropped with high expectations surrounding it, and it is safe to say that the talented rapper met these levels. Check out the Mad About Bars freestyle now, and let us know if you’re feeling it!